I tried a few XC mountain bike races back in 2011 when I first started mountain biking and while I enjoyed the atmosphere of the races, I didn’t really enjoy the riding that much, as it seemed to be 90% aerobic endurance, not my forte. I began to equate ‘endurance’ with ‘suffering’ and haven’t competed in any XC mtb races since. 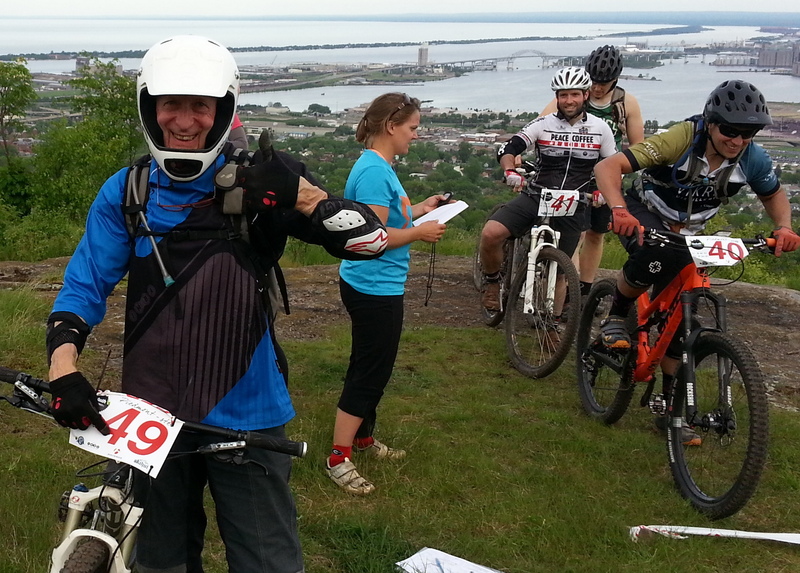 Enduro uses a time trial format with racers starting special stages 30 seconds to a minute apart. There are two types of stages: Timed stages (or Special Stages) and Transits. All of the Timed stages will factor into your final place. Timed stages are mostly downhill, but will have a few flat sections or small climbs. Transits require riders to make it to the start of the next timed stage within a given time, however there’s no benefit to finishing the Transit faster than your competitors. Enduro is a form of Mountain bike racing in which there is a greater proportion of downhill sections, which are timed, to uphill and cross country sections. This aims to test rider’s technical bike handling skills as well as providing endurance and climbing. 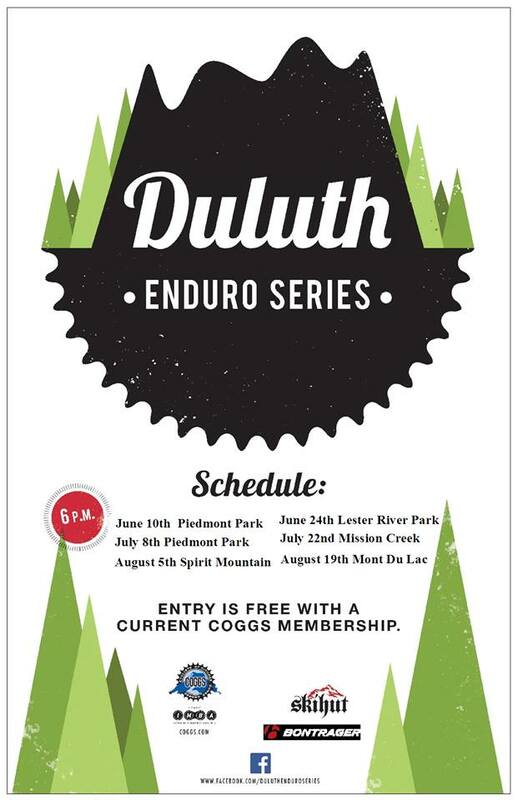 But since I live in southern Minnesota, a 3+ hour drive from Duluth, and since the Duluth Enduro Series races are held on Wednesday nights, I didn’t give too much thought to actually competing.